Happy renovation time of year Kelowna! Did you know that the Canadian Home Builders’ Association (CHBA) officially celebrates Reno Month every October? 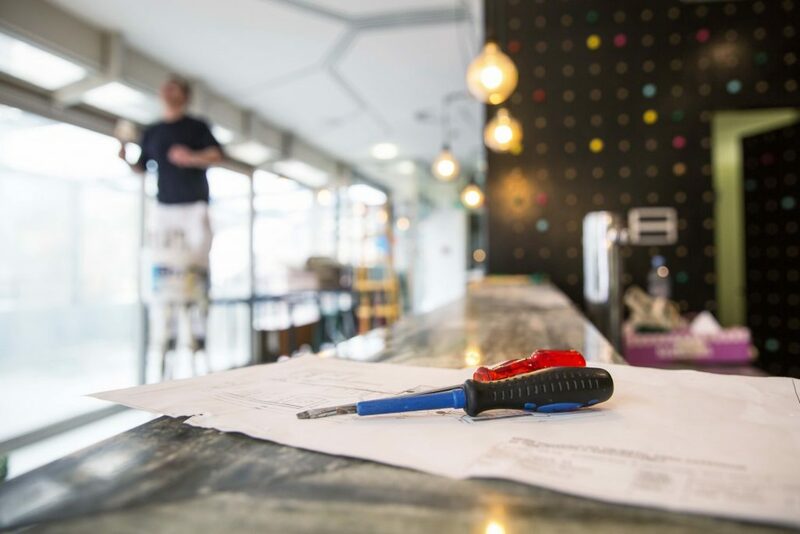 The main goal of this initiative is to draw attention to every aspect of what homeowners need to know prior to starting their renovation, as opposed to finding unwelcome surprises once you have committed. Educating the public on all aspects of the renovation process is the goal. CHBA celebrates Reno Month to help spread the word on what quality workmanship with industry professional looks like. Everything from establishing contracts to having extra money within your budget for the unforeseen are best practice strategies that we believe in as well. The days are getting cooler and darker, now is the ideal time to personalize your space and make things more functional. Let’s face it; your home is one of the largest and most important investments in your life. Start preparing for your renovation by speaking with us and exploring these resources. 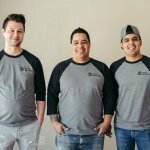 The CHBA wants you to understand the importance of seeking a reputable and experienced contractor and so does Accent Renovations in Kelowna. Look for a contractor with professional qualifications, proper insurance coverage and good business practices. If you are hoping to secure the lowest bidding contractor or someone who repeatedly takes shortcuts, you just have to wonder how much integrity they will implement on the job and throughout your project. Doing your homework ahead of any reno is vital to the safety of your family, the protection of your assets and the longevity of your finished project. 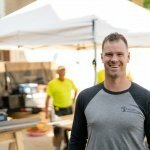 We are passionate about educating our clients on all facets of the renovation process prior to securing the job. We always do our best to ensure there are as few surprises as possible and our customers are in the loop every step of the way. Many people jump into renovations with the end-result in mind, having no idea about the pertinent details involved. We want to help prevent that; saving you as much time, energy and money as possible in the long run. Accent Renovations is committed to providing honesty and transparency from our very first meeting. Putting our customers first and only conducting quality work is what we stand by. 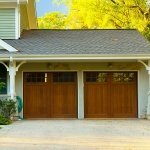 We know there are a ton of DIY options available; however, we also know that our professional crew has the skills and the experience to get the job done correctly the first time around. As proud members of the CHBA, we resonate with the Top 10 Tips for Renovations from the Canadian Home Builder’s Association. Maintaining high industry standards is important to us, not only for the integrity of our business, but for the protection of our customers. Their safety and wellbeing, and that of everyone working on site is always a top priority. Feel secure knowing that our qualified team is up to date with the latest WorkSafe BC standards and practices. 2018 Tommie Awards Are Coming Up Quick! 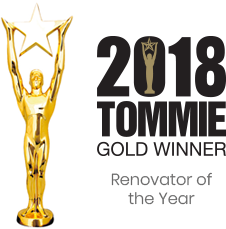 Celebrating the best the industry has to offer, the annual Tommie Awards are another CHBA initiative that Accent Renovations enjoys supporting and participating in. The next round of Tommie Awards nominations are closing in mid November. Many of our projects have won Silver and Gold Tommie awards in commercial and residential categories, so check back soon for details on the Okanagan finalists.